The sandlot at Godfrey Park provided a fantastic vista of the East Bay hills. Being next to the Alameda Golf Course added to an already broad landscape perspective that made the outfield seem even larger than it was. A swift trio of outfielders was needed to track down drives to the gap or any hit that would get up into the ever present afternoon wind. During a PeeWee League contest this Gopher ace looks to deliver a blue blazer that will get by the batter and keep his right fielder positioned on the fringe. Looks like the shift was on for a left-handed batter. PlayBall! – Alameda’s Sandlot Blog extends a big hug to all the current and former Alameda mothers out there! You were the well-oiled machine that enabled thousands of us park rats to flock to our respective parks each day. 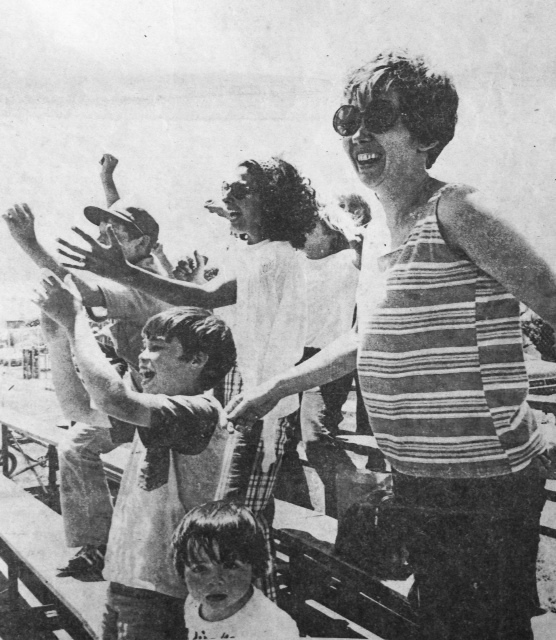 Mrs. Joan Henderson (right) cheers on her lil’ park rat Charlie on a summer day, some 40 years ago. 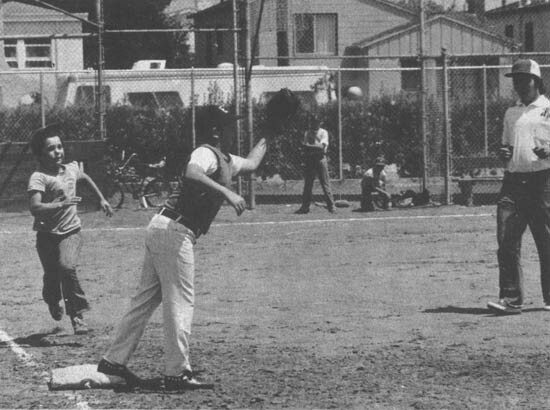 Someone recently told Alameda’s Sandlot Blog that in 1958 Franklin Park fielded a team named the Mets. The City Desk argued that wasn’t possible since the New York Mets didn’t come into existence until 1962. A little more research led our staff to the magical 1964 season and the second division finish for… the Franklin Mets. 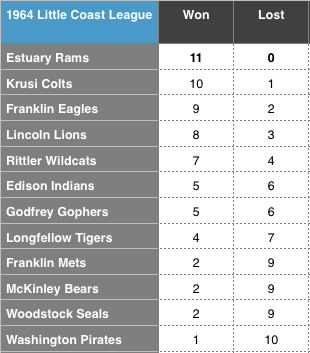 The answer is simple and can be found in the standings where the storied Estuary Rams went undefeated with a perfect 11-0 mark! Estuary, Krusi, Franklin and Lincoln were the Little Coast powers in 1964. On July 16, 1973, Charlie Niederbrach ran outside of his home at 3205 Otis Drive to get the Alameda Times Star. Why you ask? Obviously, he wanted to read the latest news about the Watergate scandal. NOT! Charlie, like most every kid on the Island, wanted to get his hands on the latest edition of the PlayBall! baseball supplement published every Monday. 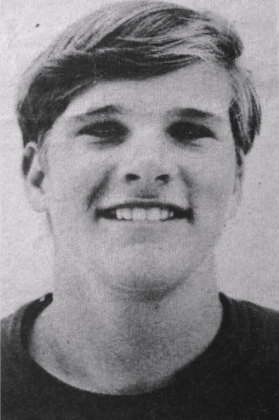 This particular edition featured young Niederbrach for his pitching exploits the previous week. Unfortunately for Charlie, PlayBall! was famous for a gaffe or two in these special editions. This day, the Krusi Colt pitcher was identified as a catcher for Godfrey Park… the opposing team! “CHARLIE NIEDERBRACH, right-handed pitcher for the Krusi Colts pitched his team to victory over Godfrey. 5-1, as he struck out seven batters and allowed only five hits. Charlie stopped several Godfrey rallies with great clutch pitching. The win against Godfrey keeps Krusi in the Little Coast race. At the end of every spring training, there’s a flurry of activity by GMs hustling to finalize their 25-man rosters. PlayBall! is no exception to the rule. PlayBall! – Alameda’s Sandlot Blog is pleased to announce that Sue Soares Frankel has earned status as a Cub Reporter. 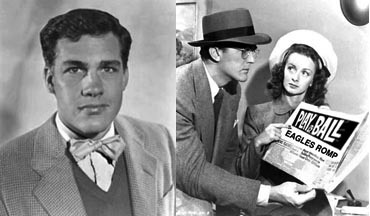 She joins Jimmy Olsen, Clark Kent and Lois Lane on the staff. Sleuthin’ Sue has contributed another 12 names to the All-Time park rat rosters. Her latest discoveries (shown below) are ladies who participated in the 1973 Junior Girls All-Star Softball Classic. Thanks, Sue. Now get to work! I want another 100 by week’s end. This photo, from a Midget League game in 1972, prominently features three individuals who’s names should be familiar to many who participated in the ARPD programs during the decade. We had a number of contestants all trying to correctly identify our mystery mugs. No one person was able to come up with all three names, however, Tony Reid (Franklin), Gary Silverman (Godfrey) and John Canalin (Longfellow) have teamed up to put a name to each physique. Charging down the first base line is Morris Bonadona of the Godfrey Gophers. Leaning for the throw is Jamie Hayame of the McKinley Bears. And preparing to make the call is stalwart ARPD umpire, Mike Benesh, who would go on to star as a backstop for the Encinal Jets. Few know that “Ben” was also an ice hockey player in the local rec leagues. The two questions that remain are: 1) Did Mo beat the throw? (Hmm. Doubtful, unless jamie muffed the play. ); 2) How will Tony, Gary and John share this week’s prize of one pair of athletic tube socks? (Suggestion: Tony gets them on Sunday/Monday. Jamie on Tuesday/Wednesday. John on Thursday/Friday. They get washed by Doris Sullivan down at Woodstock on Saturday.) Thanks to everyone who posted an entry. This week’s Who Are We? 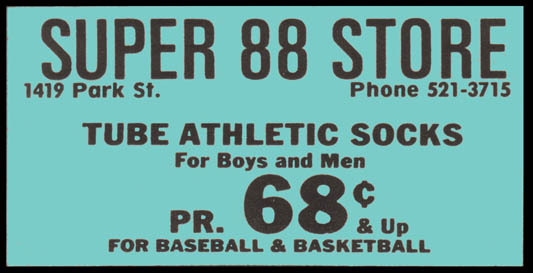 Quiz was brought to you by Alameda’s emporium for unparalleled value and savings, the Super 88 Store.